Members of the board of directors of the Northern Kane Educational Corp. acted May 19 to honor the late Moses Masesi Mutuku by naming a portion of Cambridge Lakes Learning Center in his memory. The Moses Mutuku Early Childhood Administrative Suite encompasses the administrative areas of the learning center’s preschool and kindergarten building. 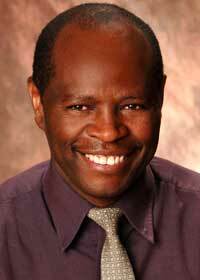 Mutuku joined Northern Kane’s board in 2005 as vice chairman/Global Learning. He assisted in establishing the P20 partnership with Northern Illinois University, conceptualized the global outreach initiative of Cambridge Lakes Charter School and supported the development of Cambridge Lakes Preschool. A founding director of Northern Kane until his death in 2012, he was born and raised in Kenya. Against the odds, he obtained a secondary school education in the developing nation and attended Machakos Teachers College. After graduation, he rose from classroom teacher to Zonal Inspector of Schools in just 10 years. Mutuku came to the United States and earned a B.S. from Geneva College, a M.S. in special education from Clarion College and an Ed.D. from Indiana University of Pennsylvania. He joined Northern Illinois University’s faculty In 2000, teaching classes in the area of early childhood in the College of Education. He never lost contact with Kenya, however, and mustered support for community development in his Kenyan villages. Cambridge Lakes Learning CenterCollege of Educationearly childhood educationEarly Childhood StudiesKenyaMoses MutukuNIU College of EducationNorthern Kane Educational Corp.